76 Datsun 280Z Widebody Build - "Banzai Runner"
[Editor’s note: As a long-time Datsun restorer and collector, I get to meet people all over the world who share my affinity for classic Nissan products. Sometimes, however, some of the most interesting people and builds are right in your own neighborhood. I recently got to spend some time with Stuart Jamison, an Arizona resident who’s building a Z that will definitely stand out from the crowd, and should turn heads for decades. I’ll let Stuart tell the rest of the story, but I wanted to give him a proper introduction… Enjoy the build! My family has never really been a ‘car’ family. I think I just was the odd one out. The day for my affliction with cars came when I went looking for my first car. 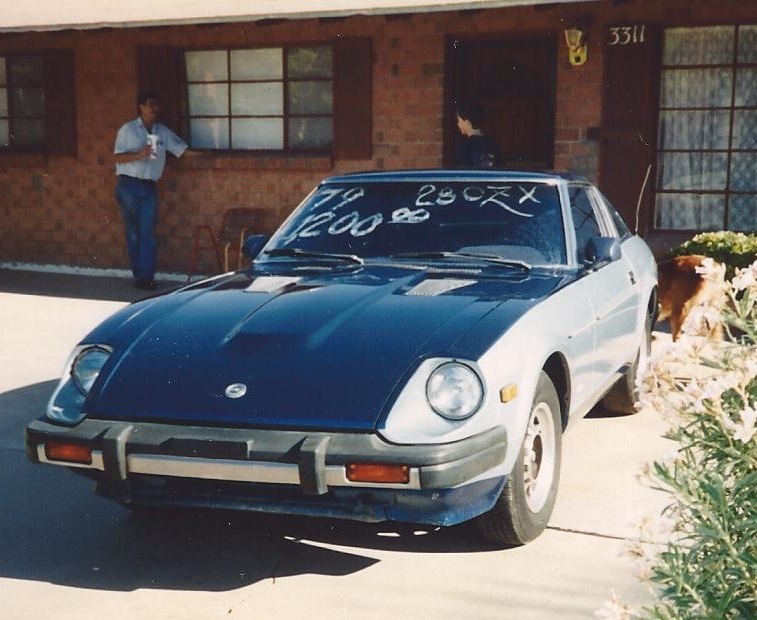 I remember test driving mainly sports cars of the time, like a Fiero, a Mazda RX7, and then finally a 1979 280ZX. I had no idea on anything about these cars, other than I liked the looks and style of them. All of them ran fine, except the 280ZX. I paid about $1200 for it my senior year in high school. seeping oil out of the plugs at one point, but continued to run. MAF problems, but still it continued to run. I was amazed at how well this car ran, even though it had problems. Eventually my neighbor and I worked on it, and that’s when I started learning about fixing cars. Clutch change, head work, rings, etc. Everything was done by myself until something came up and no one knew how to fix it, which meant a shop would have to tend to it. These were the pre-internet days, and I had a Japanese car in a predominately American car neighborhood. This car remained in my possession for about two years. It ended due to another guy T-boning me while I went through an intersection. The guy’s response was “I just didn’t see you”. He had no insurance, and it wasn’t even his car. Car was totaled and off it went, never to be seen again. 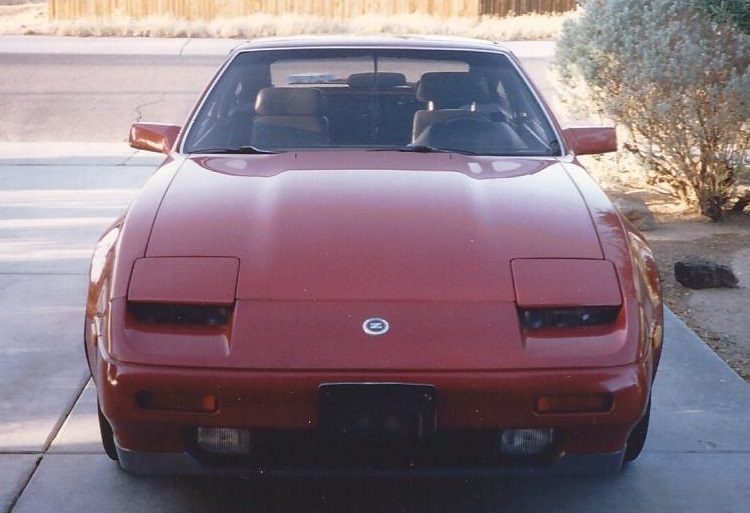 I drove past a fly-by-night car dealer on 7th Street and Dunlap here in Phoenix every day on my way to work, and ooh’ed and ahh’ed at a Flame Pearl Red 1988 300ZX that was fully loaded. Leather, digital dash, everything a boy could dream of. So with some help from family on a co-loan, the 88 300ZX replaced it, but it was never the same. It was full of luxury and the car practically drove itself, an awesome touring car, whereas in the 280ZX you drove the car. Never really had that feeling with any other car since then, but have always been a Nissan guy since that ZX. In 2000 I bought my first new truck, a Nissan of course, which was an experience in itself. It was a 2000 Solar Yellow Nissan Frontier Desert Runner. 6 years later, I traded in the Frontier and I bought my second truck, a 2006 Titan-SE crew cab, which I still own today. Things started taking a turn in 2012. I was really getting the bug to have a Z again. I thought about trading in the Titan, but was convinced otherwise not to do so by my wife. I had been on a track for the first time with some super cars, at an event that comes to town every now and then. Got to drive Ferraris, Lamborghinis, Audis, and of course the GTR. I would say that was when the time hit where I wanted something fun to drive again. By now, I was older/wiser and making decent money. I could do the things I always wanted to when I was a teenager with a Z. After thinking long and hard about it, and convincing my wife, I set off to find a project car – something I could work on, and bond with my new father-in-law over, since he was a huge car guy. Part 2: Project “Banzai Runner” begins.